I'm fortunate to work with wonderful students in the Communication Arts Program. Their enthusiastic, cooperative and creative approach to learning is inspiring. I've always been a proponent of guided student inquiry and have found CAP students are willing and able to participate in that process. 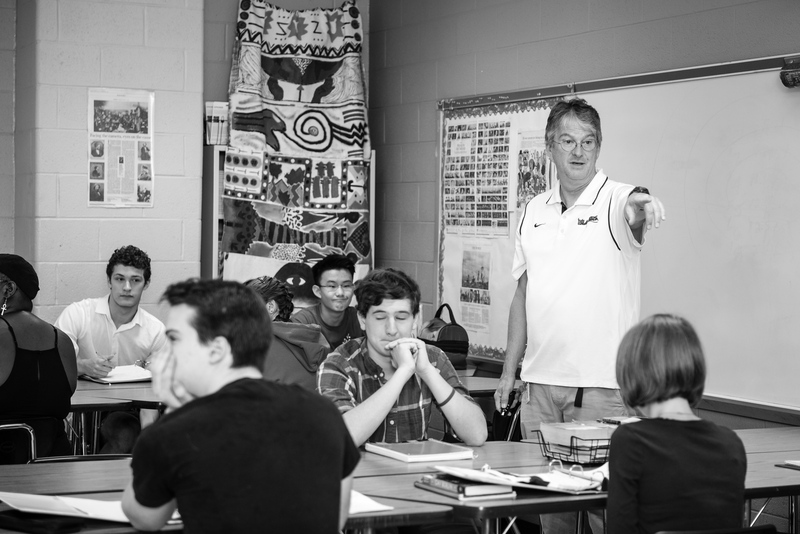 Students can be successful in an Advanced Placement course when the teacher provides clear expectations about what they are expected to learn and how they will be evaluated. One of the interesting aspects of teaching history is the extent to which ideas and concepts from the past transcend periodization. Fortunately, these ideas and concepts are explored in all three 11th grade CAP classes. B. A. Political Science, M. Ed. Curriculum and Instruction both from University of Missouri, Columbia.